Modineer has developed a business unit specifically for the requirements of the construction, agricultural, commercial equipment, and fleet vehicle markets. Unlike the high-volume automotive world, our specific segment requires low volume runs with a quick turn-a-round production. Industrial and commercial products require a mix of both precision and appearance requirements. This strict and limiting set of requirements make these manufacturing processes some of the most challenging projects. The combination of fit and finish lead to process steps that maintain the end results as a priority. Modineer offers you a breadth of experience and capabilities to meet these challenging requirements, while continually providing on-time delivery that exceeds expectations. From revolutionary products to improving your supply chain for high-quality stampings, Modineer always meets your needs. Our experience covers all phases of manufacturing, from product development through production. Many of these parts have tight tolerances, while simultaneously maintaining a highly pleasing aesthetic. Our ability to add value by providing complete components and assemblies makes Modineer your ideal choice to handle your most difficult commercial or industrial product manufacturing needs. At Modineer, we understand that your project can take many different forms. Depending on where your product is in its life-cycle, this can often mean that multiple manufacturing options are needed. 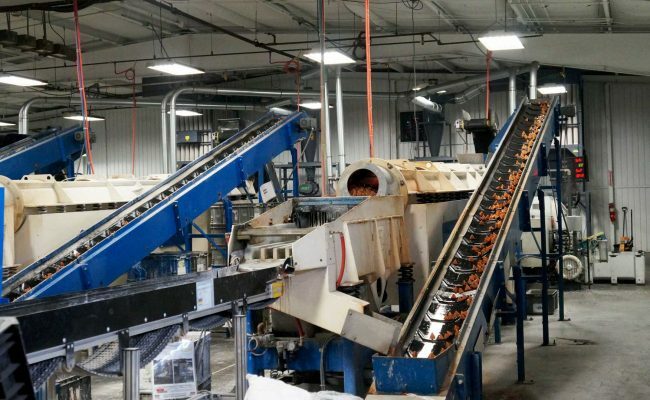 With over 70 years of experience in producing metal stampings, Modineer offers you the tools and know-how to make your next project successful.